When the sixteen year old Antara Nandy met Jim Ankan Deka (who is also sixteen at heart), all they could talk about was vibrancy of life and reaching up to the blue skies. 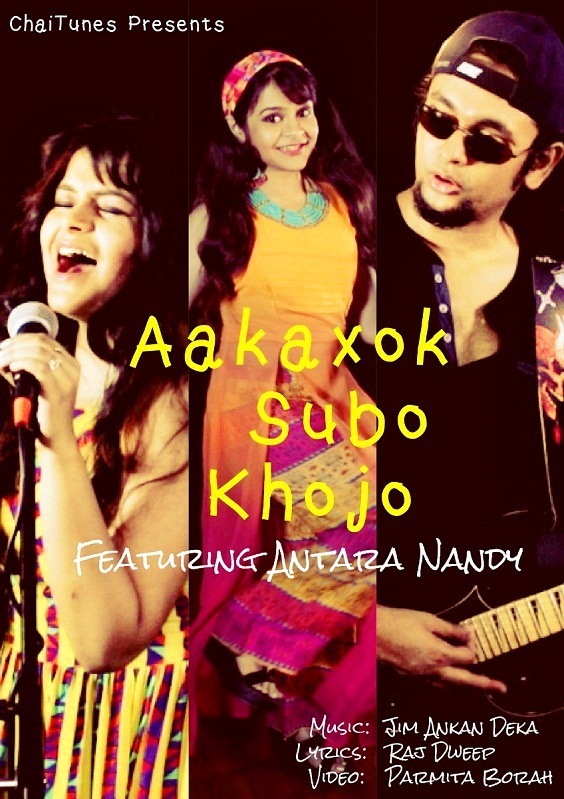 Little wonder, the duo came up with a song called ‘Aakaxok Subo Khojo’, which in Assamese means ‘the desire to touch the sky’. Previously Nandy and Deka had collaborated on a campaign against violence towards women, "Awaaz - speak up against sexual violence", where Nandy raised her voice against child sexual abuse. 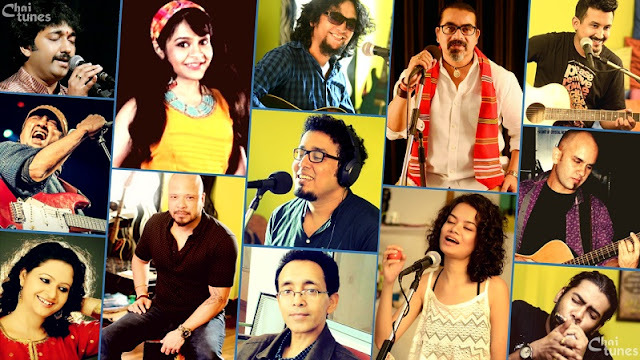 Their second collaboration ‘Aakaxok Subo Khojo’, is a part of the musical series “ChaiTunes” which is also the second video of the series. Produced by Eastern Fare Music Foundation, and a concept created by Music Malt, ChaiTunes aims to discover and bring together musicians from different genres and geos and help them brew a fine blend of music. Aakaxok Subo Khojo tells the story of a young girl who aspires to be a famous singer and tries her luck by auditioning for a music competition. Antara Nandy’s fruity voice and energetic performance combined with Jim Ankan’s sanguine composition packs up for a music video to look out for! Noted Assamese songwriter Raj Dweep has penned down the lyrics. The video is directed by Parmita Borah and shot by Nishal Lama at Innerspace Studios, Bangalore. The song was recorded at Madcat Studios and Eastern Fare Studio, Bangalore under the guidance of Anil CJ and Jim. Aakaxok Subo Khojo is released and is available for viewing on Youtube. Antara Nandy shot to fame as a finalist at the reality show “SA RE GA MA PA Lil Champs 2009” on ZEE TV, thumping thousands of contestants throughout the country. She is a recipient of the international singers award in the contest by DREAM CATHERS VISION 2012 Singapore and YOUNG ACHIEVER AWARD in March 2014 from Integrated Council for Socio-Economic Progress. She is also a CCRT (Centre for Cultural Talent Reserch by Government of India) Scholar,a scholar at ITC SRA (ITC Sangeet Reserch Academy). Jim Ankan Deka is a musician, documentary film maker, an entrepreneur and a known face in the Music Scenario of Bangalore. This Guwahati-born is the son of noted Assamese Economist and Writer Late Bhabananda Deka and Assamese Poet Nalini Prava Deka. He is a member of the International Press Association. Deka is also a member of Voodoo Child (a rock 'n' roll band) Eastern Fare (an acoustic rock band) and Veenar (a Fusion-Jazz band from Bangalore).